Using the same description as in the first auction, Zimmerman’s new listing was posted to UGG at 12:47 p.m. on May 12. If it stays up, it closes in 4 days, 18 hours. The starting price was $5,000. 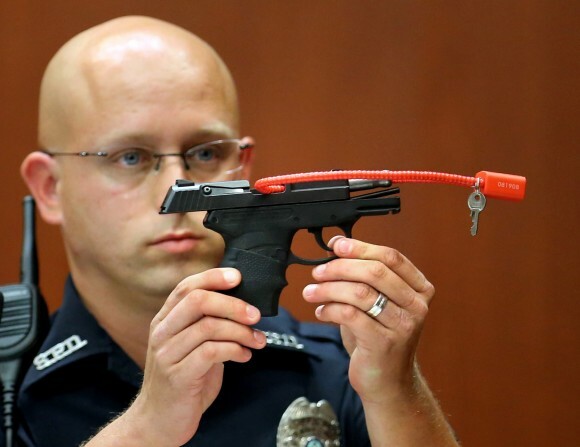 The gun is purportedly the weapon that Zimmerman used to fatally shoot Trayvon Martin, the unarmed 17-year-old in a gated community in Sanford, Fla., in 2012. McShootface’s account was subsequently suspended and his series of bids removed. Now a different user, “Craig Bryant,” has shot the bidding price back to $65 million, but the time of his bid says 3:19 p.m. CDT—which is currently 5 hours in the future. Below user Craig Bryant’s massive bid, is a “Brez Morrell,” who set the bar at $485k at 8:41 a.m. on May 13. In the comment section, Morrell seems aggravated at the fake bidding. Underneath Morrell, a user appears with the name “Tamir Rice,” the name of the 12-year-old Cleveland boy with a toy gun, who was shot by police. The “United Gun Shop,” a weapons dealer in Maryland, claims they’re receiving “a huge spike in web traffic” and “weird e-mails related to the Zimmerman sale,” stating they’re clearly not affiliated with UGG, but are aware their names are similar. I am honored and humbled to announce the sale of an American Firearm Icon. The firearm for sale is the firearm that was used to defend my life and end the brutal attack from Trayvon Martin on 2/26/2012. The gun is a Kel-Tec PF-9 9mm. It has recently been returned to me by the Department of Justice. The pistol currently has the case number written on it in silver permanent marker. Many have expressed interest in owning and displaying the firearm including The Smithsonian Museum in Washington D.C. This is a piece of American History. It has been featured in several publications and in current University text books. Offers to purchase the Firearm have been received; however, the offers were to use the gun in a fashion I did not feel comfortable with. The firearm is fully functional as the attempts by the Department of Justice on behalf of B. Hussein Obama to render the firearm inoperable were thwarted by my phenomenal Defense Attorney. I recognize the purchaser’s ownership and right to do with the firearm as they wish. The purchaser is guaranteed validity and authenticity of the firearm. On this day, 5/11/2016 exactly one year after the shooting attempt to end my life by BLM sympathizer Matthew Apperson I am proud to announce that a portion of the proceeds will be used to: fight BLM violence against Law Enforcement officers, ensure the demise of Angela Correy’s persecution career and Hillary Clinton’s anti-firearm rhetoric. Now is your opportunity to own a piece of American History. Good Luck. 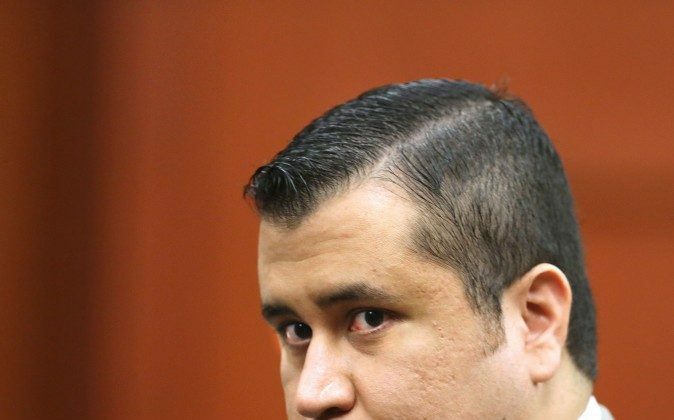 Zimmerman was acquitted of second-degree murder, as well as manslaughter, in 2013. The case became nationally known, sparked a number of rallies and protests, and was one of the building blocks for the “Black Lives Matter” movement.